One of the great tragedies of our time is the lack of understanding on the part of many Christian leaders regarding the roots of the Christian faith and how this affects one’s understanding of theology. Because of this lack of understanding the church has fallen into many heresies down through the centuries. Among other things, it has affected how we view our responsibilities for world evangelization. Rev. 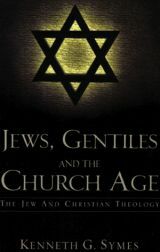 Ken Symes has written this book to help the reader understand the roots of our faith in Old Testament Judaism and the effect that understanding has on Christian theology.